why Along with other engineers in the lab, we conducted research to study how accidents occur between trains and cars at rail grade crossings. Define Objective: reduce accidents between trains and cars by studying train crossing signaling at gateless grade crossings. Devise research method leading to usable and meaningful data. 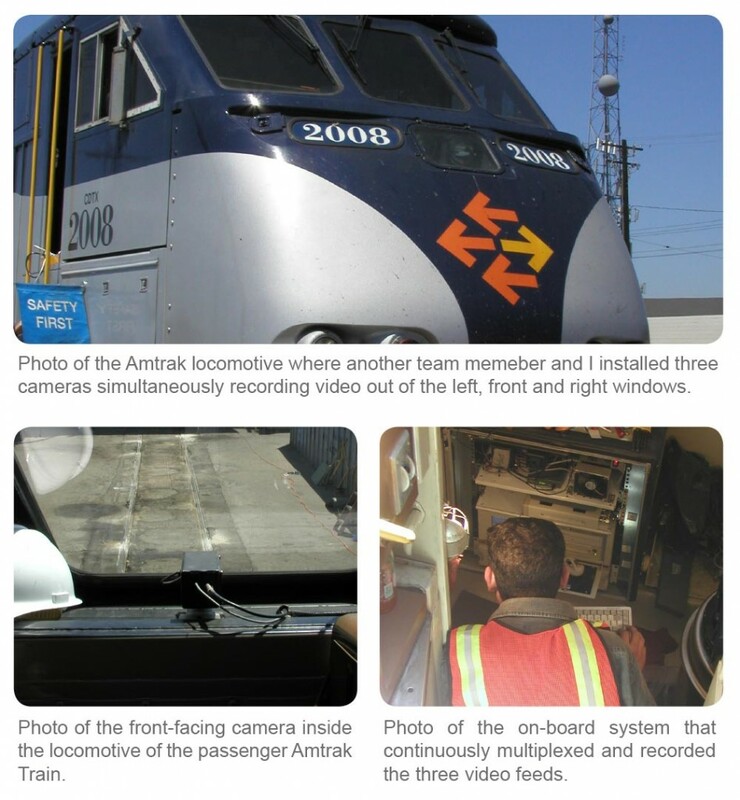 Install cameras and recording system on Amtrac Trains to monitor near-miss collisions. Monitor data transfer from train to on-site data storage unit to confirm successful video recording. Collaborate with computer science grad students to create software to automatically detect near-miss activity in video recordings. Error check software to ensure it is correctly identifying presence or absence of activity. Compile report on success of research method and present results to Caltrans and Transportation Research Board. about The UCB Vision Science Laboratory studies how drivers and pedestrians react to various types of signaling and lighting technologies including trafic lights, signage and caution indicators.